Mare reproductive loss syndrome (MRLS) is a condition that causes outbreaks of abortions, stillbirths, and weak early-death foals in pregnant mares. In 2001, ~25% of broodmares in central Kentucky aborted within several weeks. Some individual farms had 60% of their broodmares abort their foals. 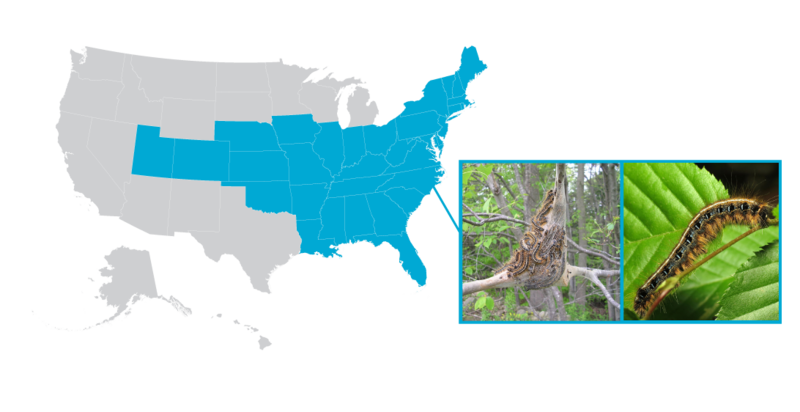 MRLS is caused by contact with the hairs of the eastern tent caterpillar (ETC) (Malacosoma americanum) in mares in the United States and the processionary caterpillar (Ochragaster lunifer) in horses in Australia. ETC are hairy caterpillars that are found frequently nesting in the black cherry tree (Prunus serotina) and other fruit trees. The ETC hairs can easily get embedded in the horse's mouth upon ingestion or while grazing, resulting in a bacterial infection. Mares which suffer from early abortions caused by MRLS, usually occur at 40-80 days of gestation, and up to 140 days. Late-term abortions are observed usually at 10 months of gestation to term. Most mares which have had an abortion due to MRLS are unable to become pregnant again during the same breeding season, but are able to breed normally the following breeding season. Eliminate wild black cherry trees from the premises. Avoid exposure of horses, particularly pregnant mares, to Eastern tent caterpillars and probably most hirsute caterpillars.